One of the big features in Docker 1.12 release is Swarm mode. Docker had Swarm available for Container orchestration from 1.6 release. Docker released Swarmkit as an opensource project for orchestrating distributed systems few weeks before Docker 1.12(RC) release. I had some confusion between these three projects. In this blog, I have tried to put my perspective on the similarities and differences between these three software components. I have also created a sample application and deployed it using the three approaches which makes it easier to compare. Docker Swarm mode is fundamentally different from Swarm and it is confusing to use the same name Swarm. 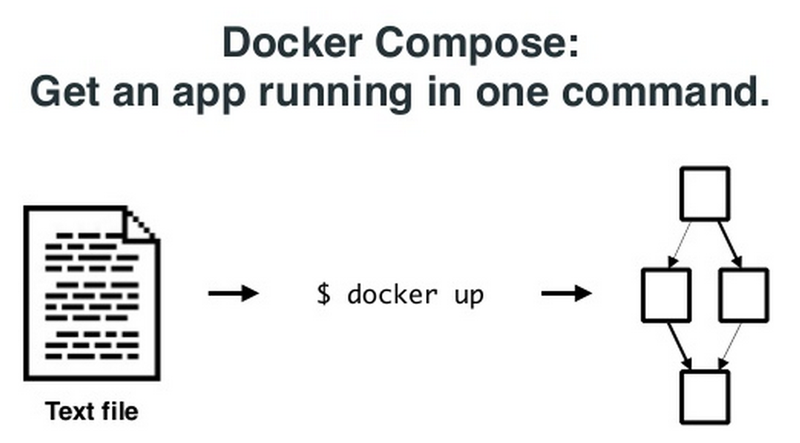 It would have been good if Docker could have renamed this to something different. Another point adding to the confusion is that native Swarm functionality will continue to be supported in Docker 1.12 release, this is done to preserve backward compatibility. In this blog, I have used the term “Swarm” to refer to traditional Swarm functionality, “SwarmNext” to refer to new Swarm mode added in 1.12, “Swarmkit” to refer to the plumbing open source orchestration project. The most popular Container Orchestration solutions available in the market are Kubernetes, Swarm and Mesos. I have used Kubernetes and Swarm, but never got a chance to use Mesos or DC/OS. There were a bunch of questions I had about Mesos and DC/OS and I never got the time to explore that. Recently, I saw the announcement about Mesosphere opensourcing DC/OS and I found this as a perfect opportunity for me to try out Opensource DC/OS. In this blog, I have captured the answers to questions I had regarding Mesos and DC/OS. In the next blog, I will cover some hands-on that I did with Opensource DC/OS. What is the relationship between Apache Mesos, Opensource DC/OS and Enterprise DC/OS? Apache Mesos is the Opensource distributed orchestrator for Container as well as non-Container workloads. Both Opensource DC/OS and Enterprise DC/OS are built on top of Apache Mesos. Opensource DC/OS adds Service discovery, Universe package for different frameworks, CLI and GUI support for management and Volume support for persistent storage. Enterprise DC/OS adds enterprise features around security, performance, networking, compliance, monitoring and multi-team support that the Opensource DC/OS project does not include. Complete list of differences between Opensource and Enterprise DC/OS are captured here. What does Mesosphere do and how it is related to Apache Mesos? Why DC/OS is called OS? Sometimes folks get confused thinking Mesos being a Container optimized OS like CoreOS, Atomic. Mesos is not a Container optimized OS. Similar to the way Desktop OS provides resource management in a single host, DC/OS provides cluster management across entire cluster. Mesos master(including first level scheduler) and agent are perceived as kernel components and user space components include frameworks, user space applications, dns and load balancers. The kernel provides primitives for the frameworks. What are Mesos frameworks and why they are needed? This is a continuation of my previous blog on Docker machine. In this blog, I will cover Docker Swarm. Rather than managing individual Docker nodes, the cluster can be managed as a single entity. Swarm has an in-built scheduler that will decide the placement of Containers in the cluster. There are different constraints and affinities that can be mentioned which Swarm uses to decide the Container placement. Constraints could be cpu, memory etc and Affinity could be for grouping related Containers together. Swarm also has the provision to take its scheduler out and work with other schedulers like Mesos and Kubernetes. Swarm will take care of node failures so that Container HA can be provided. Swarm Manager that takes of scheduling and HA. HA piece is not yet available. Swarm agent that runs in each node and communicates to Swarm manager. Node discovery. There are different approaches available for Swarm worker nodes to discover Swarm master. Discovery is needed because Swarm master and agents run on different nodes and there is a need to find the discovery parameters dynamically. Available discovery mechanisms are docker hub, etcd, Consul etc.